A mixture of clean lines, reflective white finishes, and white oak accents convert this previous sushi restaurant into a modern salon. A luminescent sign anchors the store within the mall context, and recessed retail shelving lead customers into the wide open space. 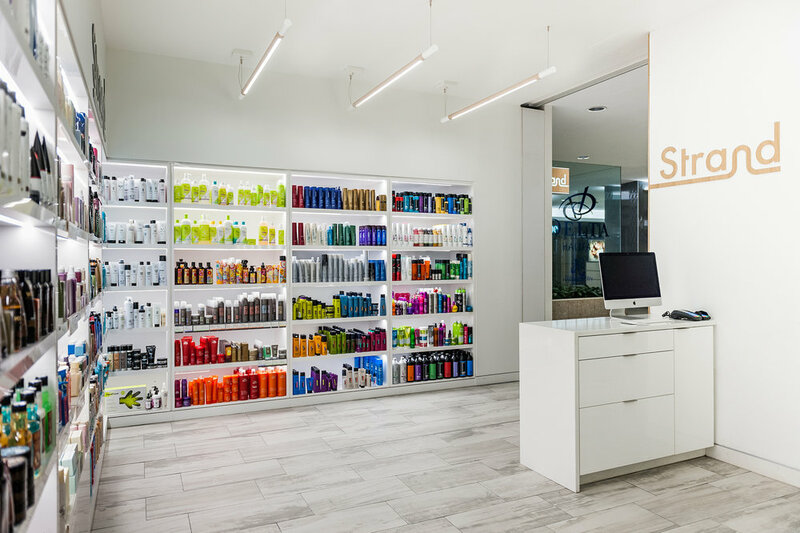 The project efficiently utilizes a continuous wall of shelving, a processing bench, colour bar, and hair wash station around the perimeter. 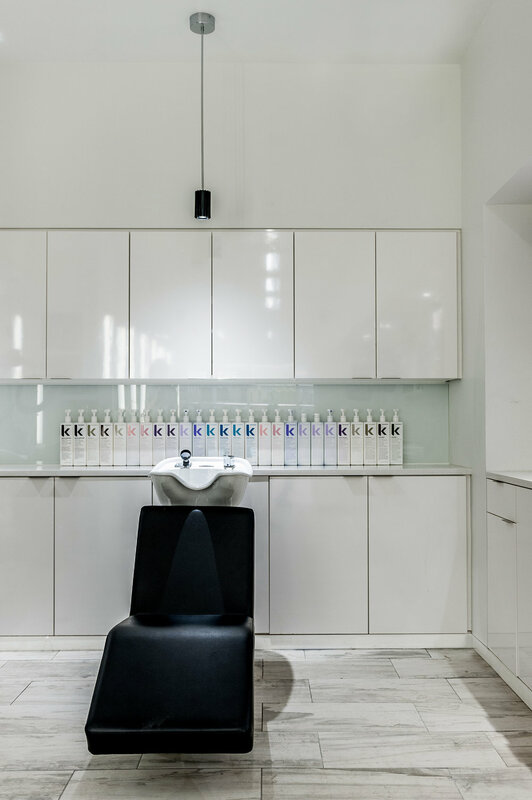 Hair stations were conceived as three large columns of storage to minimize hair dressing equipment while evoking an open feel in this relatively tiny footprint of 800 SF. PASSAGE designed the interior, signage, and logo for a complete fresh rebranding experience.